Best Buy Canada has an anniversary sale on from October 9-15 with a whole slew of video games at reduced prices. 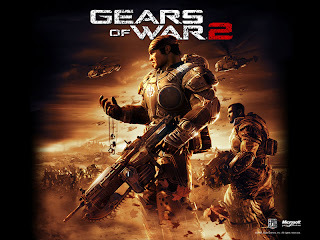 The best deal has to be Gears of War 2 which is slashed by $30 for the low, low price of $19.99. You can check out the price online here. I also noticed that Future Shop also has Gears 2 on for the same price until the 15th. Best Buy has the PS3 exclusive inFAMOUS on sale for $39.99 (save $20). As well, a handful of Xbox 360 games and one PS3 game are receiving $10 price slashes for the week, including NHL 10 (PS3), Marvel Ultimate Alliance 2 (360), Guitar Hero 5 (360), Batman: Arkham Asylum (360), UFC 2009: Undisputed (360), and DiRT 2 (360). I don't have a direct link, but you can check out the flyer by going here and typing in your postal code.